The fact that Westerners in the ADR (Anglo Demonic Reality) are possessed by dead human spirits and demons is a result of the Illuminati evil in Britain and Europe since Elizabeth the 1st’s reign. The biophysical body is a quantum computer that can be in multiple states to run quantum computing and error correction. Quantum computing depends on the superimposition of quantum states to run multiple programmes simultaneously. In the 1970’s Heinz-Dieterzeh of the University of Heidellberg in Germany and Wogcieh Zurek at Los Alomos National Laboratory in New Mexico (the American’s top military research complex where all it’s weapons of mass destruction are designed/tested, investigated decoherence. Quantum multiple states are extremely delicate. They can only exist in multiple states if totally isolated from their surroundings. A perfect human has an energy body totally isolated from the Megaverse by the boundary layer that surrounds them so their own mind can develop and run all it’s quantum computing programmes. This is the state of a Psi-Master: Master of themselves. In Chinese, Moslems the dark energy matter parasite in the top of the energy body links them with the insectile nurse… Archons and destroys decoheres the multiple quantum states of their minds so they can be run remotely by the Archons. I have visited the Archon dimension where Chinese, Russians, Moslems are monitored run remotely; this is the condition of the Matrix as ancient Seers found themselves in, as well as the Psi-Masters of the Nazi timelines and the Soviet time-line where history went differently. taken into the 12 Aeon Psi-prison ahead of their death to lock them into the Archon intents. The creation of the ADR 12 Aeon Psi-prison was the completion of the Archon plan for humanity, so no matter where you go in the West you see the same bland malls, populated by zombies who obey authority and have no desire, wish or knowledge to explore the Soul – because they know they only have one life… The secular intellectual West of the damned. This is the perfect situation for the Psi-Master as he/she knows the 12 Aeons Psi-prison locks all the West into the ADR so burning the 12 Aeon Psi-prison will liberate prodigious amounts of PF to boost the Psi-Master to a Psi-Lord. Since all Westerners are lost there are nine Psi-Lord places to occupy once the Archons are destroyed – a job I relished, the new Council of Nine will be 9 human Psi-Masters who have taken over from the Archons as controllers of humanity… The amount of PF generated by burning the ADR is so huge it is something that tempts a Psi-Lord like myself and my Pulsar allies to use the PF to gain levels of Awareness not reachable in the future where the Archons are destroyed. Tim Rifat has found these supernatural spirits are the root cause of all Westerners problems. They make you do what you don’t want to do and suppress your real mind so you can’t be you. Since the Chinese.. don’t have the ADR they can easily get rid of their dark energy matter parasite and use Psi to rule the world, the 12 Aeon Psi-prison of the ADR locks the West to the Archon hell as they are already half dead. The Decoherence BPC/PC makes both your physical and biophysical bodies free of possession by human Grey damned by enabling the power of the Agglutinising Force into the ADR to shake, shred, purge, exorcise… the multiple quantum states of the Archon ADR. Free your mind, free your Soul, free your Spirit from overlay by other minds. Cost $80 + $40 Immediate Postage. 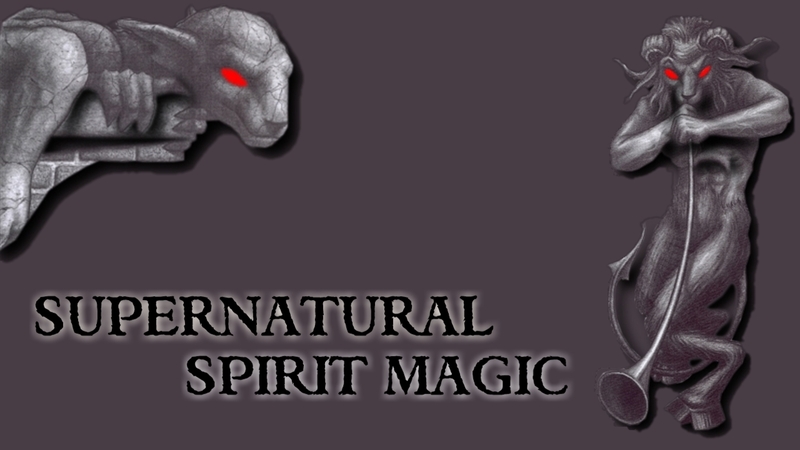 Consists of two smokey quartz PC/BPCs to decohere the supernatural spirits of the ADR that afflict you. 12 Power Psi Crosses available from PsychotronicCrystals.com can be used to charge water to purse your body of the morphogenic fields brought into your system by these supernatural spirits that cause: cancer, alcoholism, drug addiction, organ damage, diabetes, heart attacks, smoking, obsessive compulsive behaviour, mental disease, eye problems, ageing, dementia, stupidity, obesity… since morphogenic fields switch our DNA on and off they control all aspects of our physical health. Simply place the 34 BPCs of the Psi Cross PC/BPCs around a bottle of water to charge it overnight with one of the missing 12 Powers (their corrupt converse issued to build the 12 Aeons). The Psi Cross water adds decoherence to your physical body to destroy the morphogenic fields that make Western man ill, chronic rather than acute disease, atrophy rather than infectious disease. UltimateEnergisedWater.com sells ready made Psi Cross Water to destroy the physical disease morphogenic field of the 12 Aeons as water chargers that can be refilled to supply you with your yearly needs. The 12 Psi Cross waters carry the Powers/energies stolen from Western man to put them in the Psi-prison of the 12 Aeon ADR. So by replacing the missing 12 Powers corrupted to produce the 12 Aeon Psi-prison the Psi-Adept… is vigorously released from the 12 Aeon Psi-prison as the 12 Powers of the Psi Crosses have this ability. Since most of our physical body is water the 12 Power Psi Cross Water charges the water in our body so the neurones in our brain cannot carry out the multiple states of possession meaning the 12 Powers flush the damned spirits and demons out of our physical bodies. This makes our bodies state to the Matrix state that was our primordial form before the ADR, the same for the Chinese… are still in, though not perfect, it provides a spring board to Psi-advancement. For Westerners the Anti-Atbash PC untwists the 12 missing Powers and the True Eve PC/BPC frees the Psi-Adept from the corrupted feminine submission to authority, the ‘Nanny’ state that traps all Westerners in the ADR 12 Aeon Psi-Prison from birth. The 12 Psi-Powers can be seen as freeing us from the Psi-prison for the Psi-Master the 12 Aeon PC/BPCs are used to LV/LD the realm of Archon damned Souls to burn them for PF and to collect our life experiences so we burn off the memories that bind us to death like the Shamans of old.